One governor of Michigan is remembered in large part because of his environmental ethic and accomplishments. 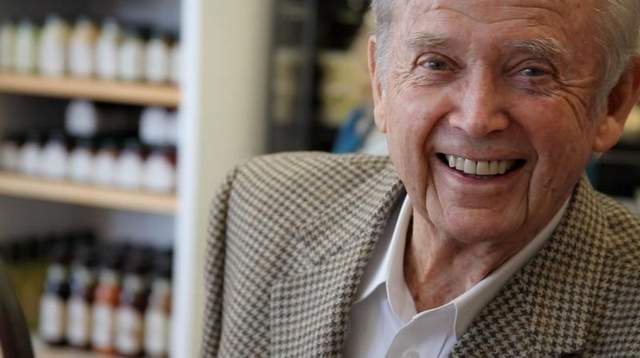 William G. Milliken of Traverse City, who turns 97 on Tuesday, March 26, supported and signed into law most of Michigan’s modern environmental laws while he was the state’s chief executive from 1969-1982. Governor Milliken said his environmental commitment was forged growing up in the water-rich environment of Traverse City. And water cleanup is a key feature of his record, including a ban on high-phosphate detergents that led to a sharp reduction in algae blooms. Measures signed into law by Governor Milliken include the Michigan Environmental Protection Act, the Inland Lakes and Streams Act, Wetland Protection Act, Sand Dune Protection and Management Act, and many more. FLOW has wished the Governor a happy birthday before, and we do so again. His is an environmental legacy that remains evergreen. Happy Birthday to one of Michigan’s most wonderful Governors! Thank you for your leadership! Thank you for moving our state forward and making it a model for the rest of the country. I’m sorry for not fighting hard enough to keep our state progressing along those lines. We worked together from 1975 to 1982 when I was Terminated from staff. Michigan House of Representatives, Democratic Communications Specialist II. Sending you Best Wishes for the Happiest of 97th Birthdays!! The 97th Anniversary of the day YOU Graced the World with your Presence, Hooray!! Turn your head to the left……. No. Turn it back to the Right……..
Now, look here and be Natural! A little late, but very heart-felt non the less: Happy 95th year to someone I have always admired and appreciated. You are an inspiration, and if today’s leaders could only pay attention, and care for our environment as you have, we would be in such better shape. Your legacy lives in those of us still working on protection and preservation. A great man and solid governor even if he was a real republican.